A social studies activity that not only teaches kids a little about geography but also teaches them a little about different languages! Sounds interesting, doesn’t it? 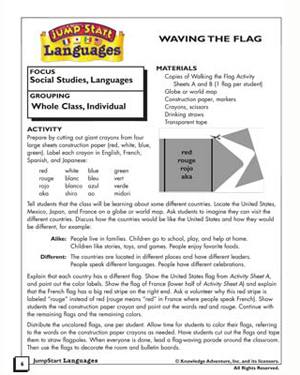 ‘Waving the Flag’ is a free, fun social studies activity for kids. Homeschooling parents as well as teachers can use this printable activity to teach children about different countries and their flags. Follow the instructions and watch as kids begin to love social studies!